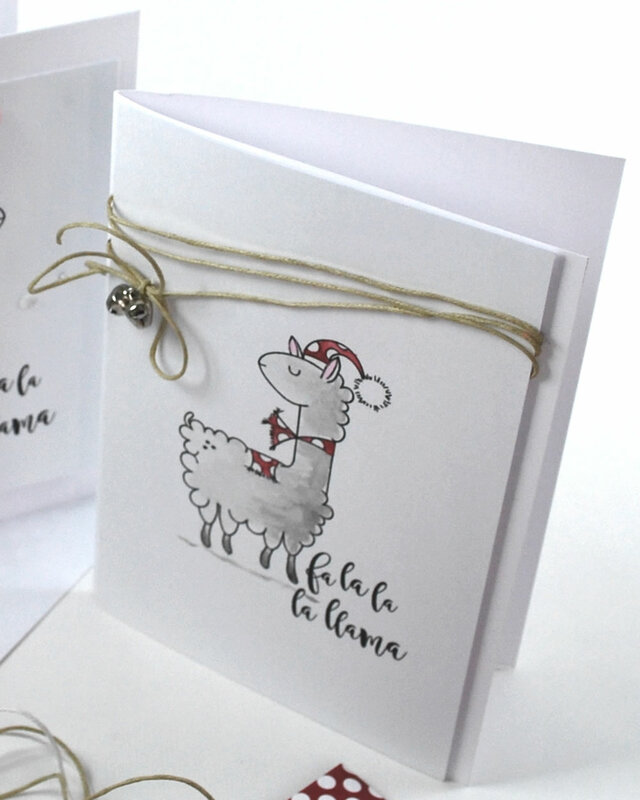 Today I want to show you the second of my new Image Stamps for Christmas - 'Fa La Llama'. 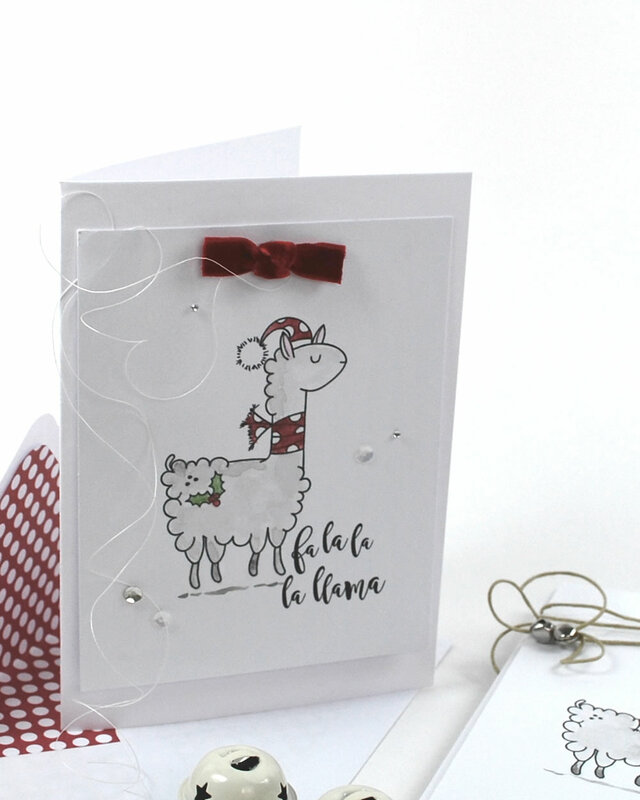 You can find 'Fa La Llama' *here* in the Boutique. And everything that's new for Christmas 2018 *here*. Patterned Paper: 'Lots of Smaller Dots' from The Colour Collection printed onto Smooth White Paper. 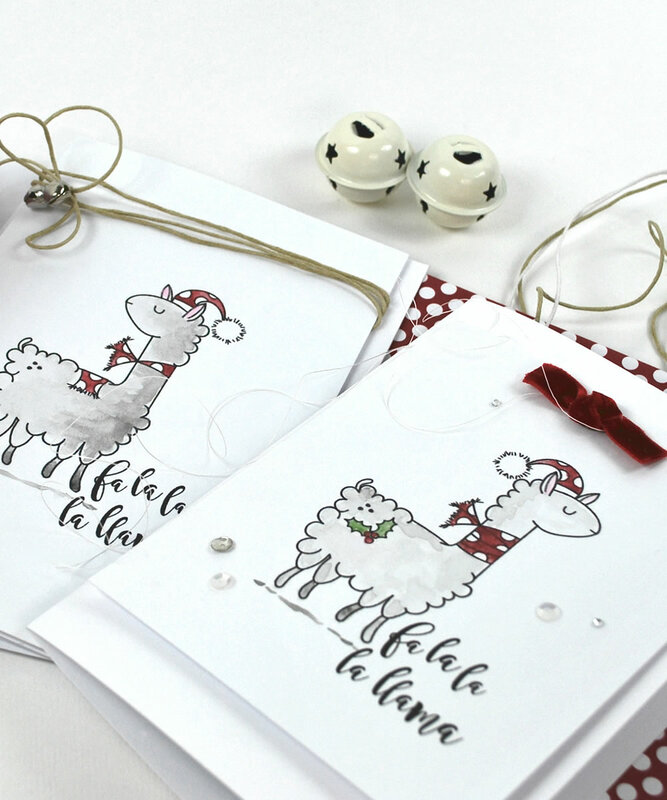 Images with Sentiments: 'Fa La Llama' Digital Image Stamps printed onto Smooth White Card & coloured lightly with Watercolour Paints.